Breakfast may not be the most important meal of the day — at least when it comes to losing weight — according to findings recently published in BMJ. “Many international dietary recommendations suggest the regular inclusion of breakfast for weight management and as a protective factor against obesity,” Katherine Sievert, PhD, MPH, a research officer within the department of epidemiology and preventive medicine at Alfred Hospital in Melbourne, Australia, and colleagues wrote. “However, despite this common recommendation for weight control by both health professionals and the lay community, most of these recommendations are based on the findings of observational studies,” they added. Researchers reviewed 13 trials, most of which were conducted in the United States and United Kingdom. They found those tasked to eat breakfast had higher total daily energy intakes than those tasked to miss breakfast (mean difference = 259.79 kcal/day; 95% CI, 78.87-440.71). Though there was a small weight loss recorded among those who missed breakfast (mean difference = 0.44 kg; 95% CI, 0.07-0.82), there was some discrepancy across trial results. Sievert and colleagues advised caution when interpreting the findings. “We consider the quality of the body of evidence to be low for several reasons. All of the included trials were at high or unclear risk of bias in at least one risk of bias domain and had only short-term follow-up; more conclusive results could be drawn with more rigorously conducted trials. We also saw substantial heterogeneity among the trial results for energy intake. This heterogeneity could in part reflect the different populations being examined,” they wrote. 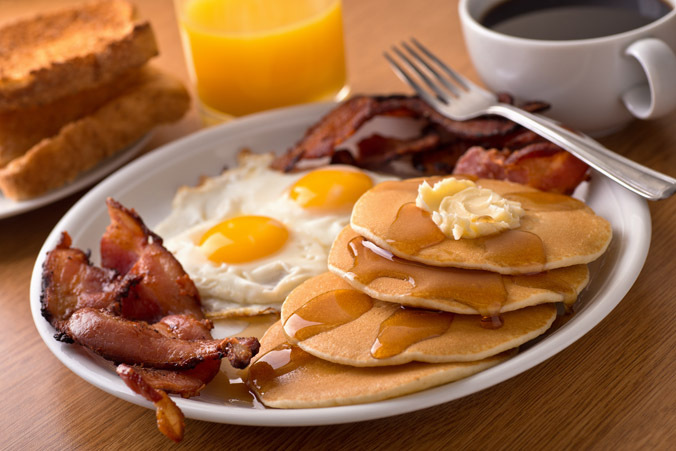 In a related editorial, Tim Spector, MB, MSc, MD, FRCP, professor of genetic epidemiology, King’s College London, noted that though the U.S. Department of Agriculture and other entities recommend daily breakfast consumption, a wind of change in long-standing mindsets might be forthcoming regarding dieting. “Evidence is … accumulating that restricting eating times and increasing fasting intervals can help certain people to lose weight. Some of these recent developments that seem counterintuitive to traditional thinking make sense in the context of the importance of the gut microbiome on human health and metabolism. The community of 100 trillion gut microbes have a circadian rhythm and vary in composition and function in fasting and fed states. Although this is a young discipline, some data suggest that microbial communities could benefit from short periods of fasting,” he wrote. Spector also indicated that dieters should remember that weight loss plans are not universal in whom they could benefit. Disclosures: Spector reports receiving royalties from book “The Diet Myth: the science behind what we eat” and being scientific founder of Zoe Global Ltd (a personalized nutrition company). He has also received research grants from Danone. No other relevant financial disclosures were reported.